Craft beer, romantic? You better believe it! Hop up your date night in cask style on the BC Ale Trail with these ideas for you and your sweetie! When my partner started homebrewing a few years ago, little did I know that his new hobby would become one of our favourite ways to go out and about for a date. Yes, beer can be romantic. Our “research” of visiting craft breweries along the Ale Trail has led us to finding new places to spend time together at home and when we’re travelling. Whether it’s a first date, regular date night, or a day or night out with friends, craft beer has become a part of BC’s social DNA. Let’s explore some BC Ale Trail themed suggestions for date night. Valentine’s Day is right around the corner after all! The Ale Trail’s brewery tasting rooms range from cozy to spacious, all with a unique vibe. They are an awesome casual option for a first date or as a regular date option with your honey. Boardgames and tasty snacks like fresh pretzels and charcuterie can be enjoyed while sitting at the bar or at a cozy corner table. And if date night happens to include your little ones, most tasting rooms are kid-friendly and some even have a designated area for dogs! 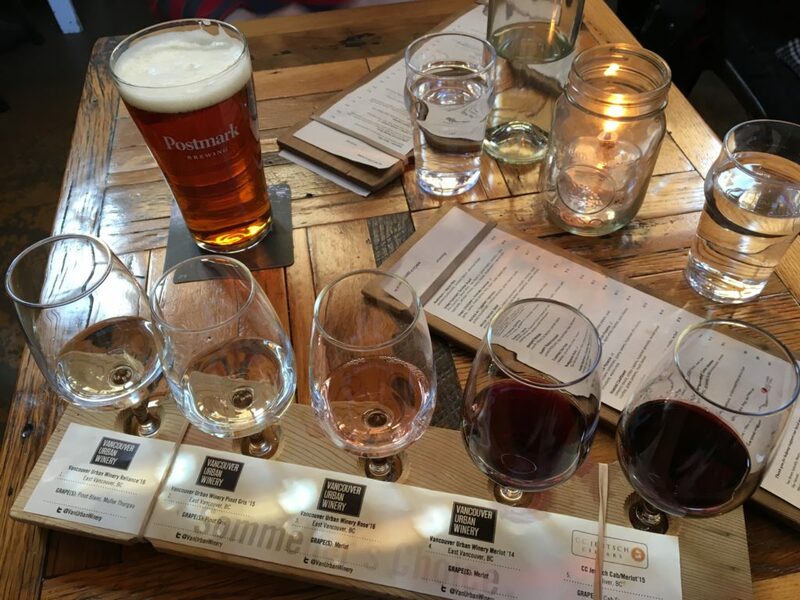 Some excellent tasting rooms along the Ale Trail include New Westminster staple Steel & Oak Brewing, 2018 BC Beer Award winner 33 Acres Brewing, 2018 Best Brewery Experience award winner Townsite Brewing, the farm haven that is Persephone Brewing, Vancouverite favourite Brassneck Brewery, new kid on the block île Sauvage Brewing, the city-break nook and breathtaking patio that is Tapworks Brewing, and 2018 BC Beer Awards winner for Best Tasting Room, Sooke Brewing. Spinnaker’s in Victoria, was the first brewpub in Canada, and Canoe, Steamworks, Trading Post, Moon Under Water, Cumberland, and Brewhall (just to name a few!) have followed suit in offering unique venues and an excellent menu to pair with their craft ales and stouts. Music bingo, quiz nights, and live music are usually on their calendars and are a hoot to attend. The bonus with brewpubs is that you can usually make a reservation − always good if you’re wanting to impress. If one of you is more into wine than beer (it’s okay, no judgment! ), most brewpubs and taphouses have some vino on their menu. And in that vein, Postmark Brewing rounds out the trifecta hybrid that includes Vancouver Urban Winery and Belgard Kitchen. 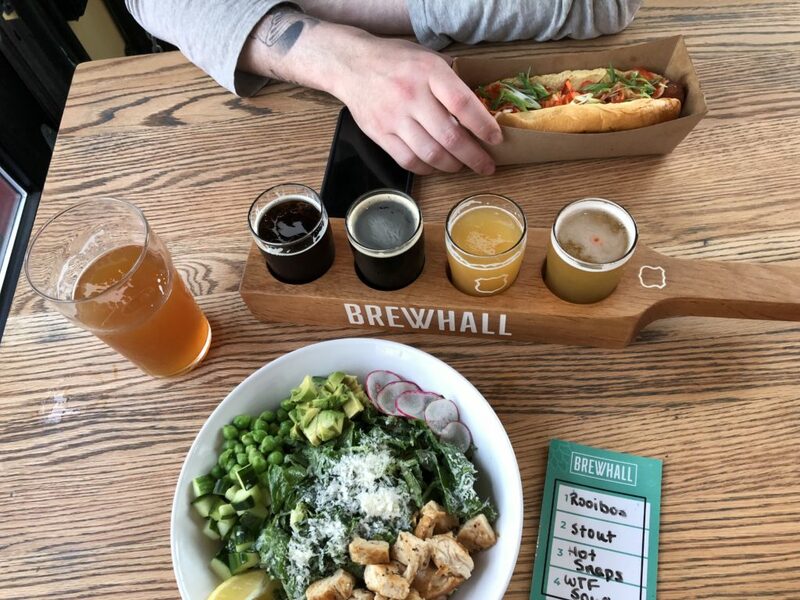 Located in the stunning Settlement Building in Vancouver’s Railtown district, they are serving up excellent food, beer and wine; perfect for a date night! 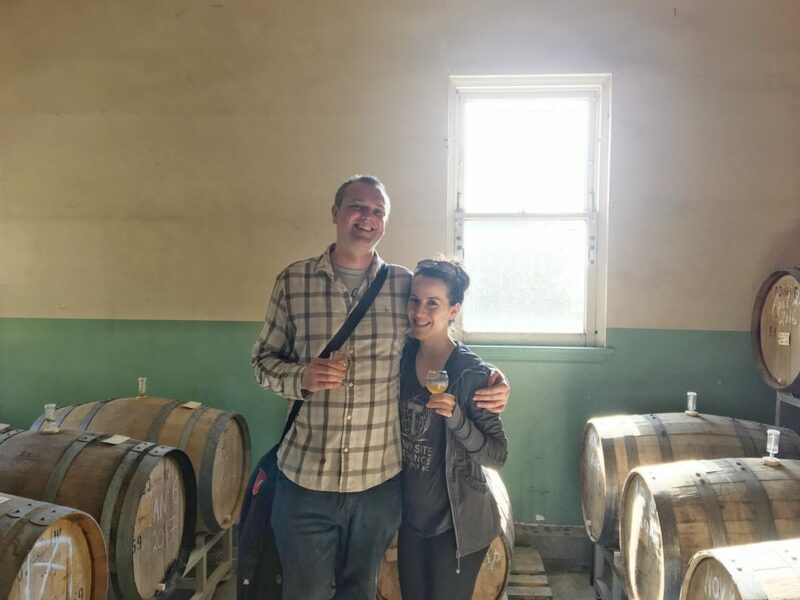 For some (this writer, and especially my guy, included), touring the facilities of a brewery is part of the fun of going to a new tasting room. Some offer scheduled tours and tastings, and if you’re lucky, you’ll get to try something that is still brewing. Townsite Brewing, Central City Brewers & Distillers, and many others offer incredible tours of their facilities. 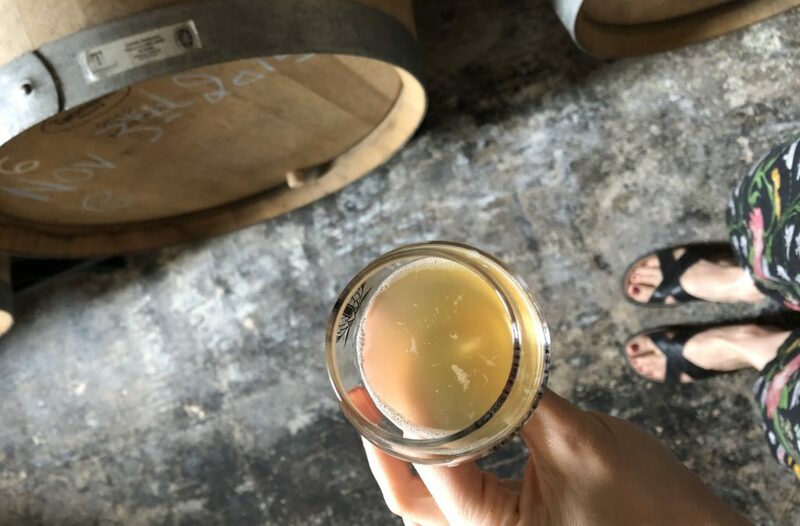 The close proximity of breweries in areas such as Vancouver’s ‘Yeast Van’, Port Moody’s Brewers’ Row, or Victoria’s industrial neighbourhoods allow for touring a few brewery tasting rooms in an afternoon, either via a paid tour, or a self-guided walking or cycling tour using our BC Ale Trail guides or app! Homebrewing has become all the rage, and if you’re looking for a date night IN, making your own version of your favourite brewery’s IPA is also a penny-saver in the long-run. Not super romantic, but you can make it so by brewing up your sweetie’s favourite beer for him or her. (I say this from personal experience as a recipient.) Bottling your own beer together can also make an excellent party favour for that special day or a milestone birthday. With craft beer festivals and events happening year-round in BC, there is no shortage of hoppy activity. 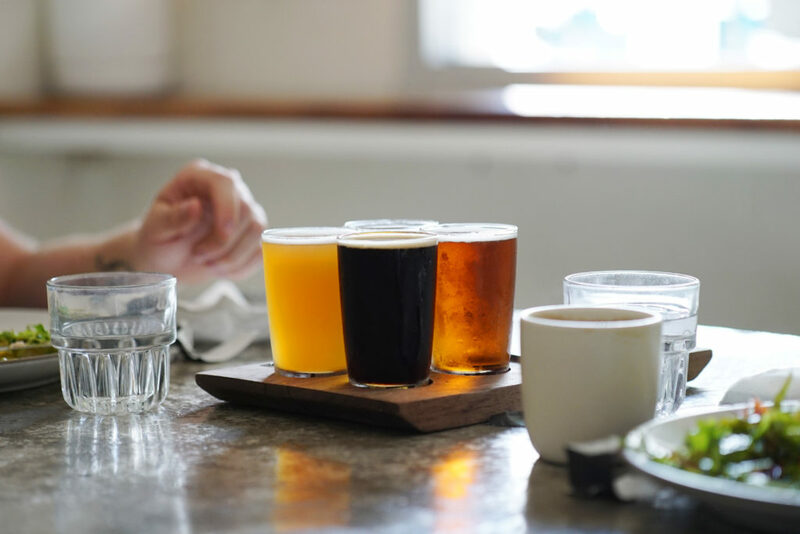 Weekend-or-week-long, there’s always something for everyone and the events and workshops offered (like this ‘Beer School’ event coming up at Victoria Beer Week) at the festivals make for a perfect date day or night. 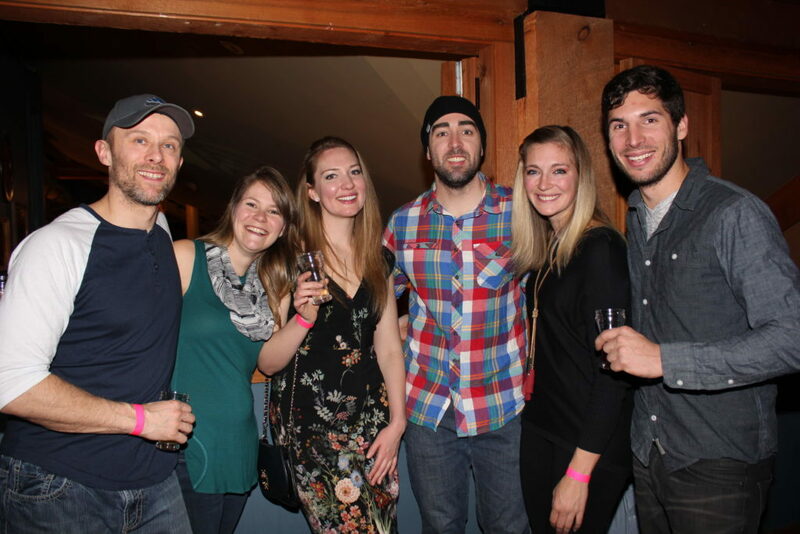 Upcoming events on BC’s craft beer calendar are: Brewski Craft Beer, Spirits and Cider Festival (February 9 – Kelowna), Hopwired Festival (February 23 – Vancouver), and Victoria Beer Week (March 1-9 – Victoria). More events on the Ale Trail calendar can be found here. Turn date night or day into a date weekend. Two breweries in BC’s capital Victoria offer the rather convenient and fantastic experience of providing you excellent service as both your craft brewpub and accommodations. 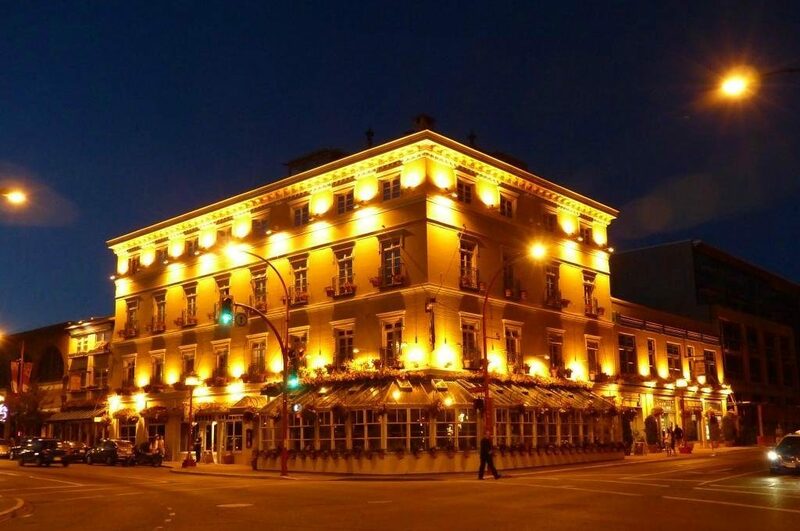 Swans Brewery and Hotel is located in trendy Chinatown and Spinnakers offers up a cozy bed and breakfast experience on the harbour that includes their beer-infused chocolate truffles waiting for you in your room! 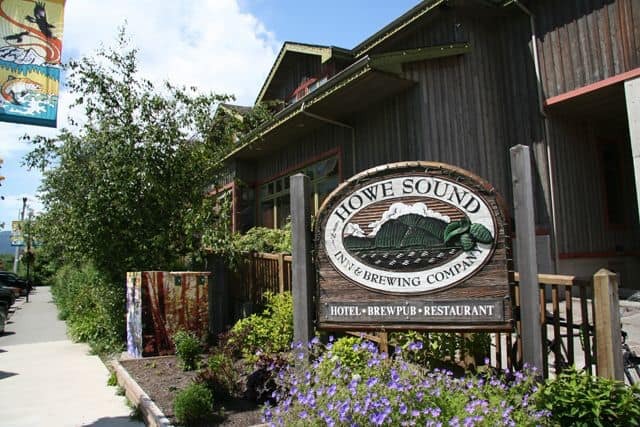 Up the Sea to Sky Highway in Squamish, Howe Sound Brewing is featuring a series of Beer Pairing Dinners. Enjoy a unique four-course dining experience paired with four of their own beers. Combine that with an overnight stay in their cozy Inn. The next dinner is scheduled for February 22.